I love finding new beauty brands to try out. Especially the ones with cute branding and are all about the all-natural vibes. 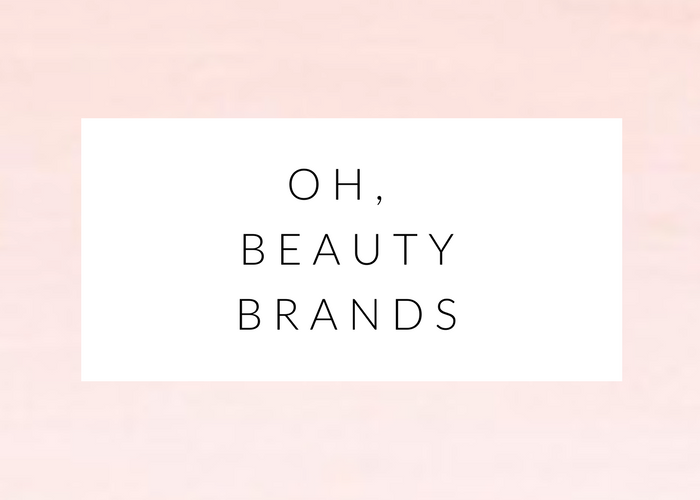 I thought I’d share with you some brands that I’ve had my eye on for a while and what products from their line I’m most excited about. I’ve had my eye on this brand for a looooong time now. I first noticed them at Indigo and was dying to try some of their products, but I still haven’t (silly me). What do I love about this brand? Well, 1. they are a husband and wife team (love that) and they are all natural ingredients, which is super important to me. Below are the products I’ve wanted to try for a while now and plan on getting sooooooon. 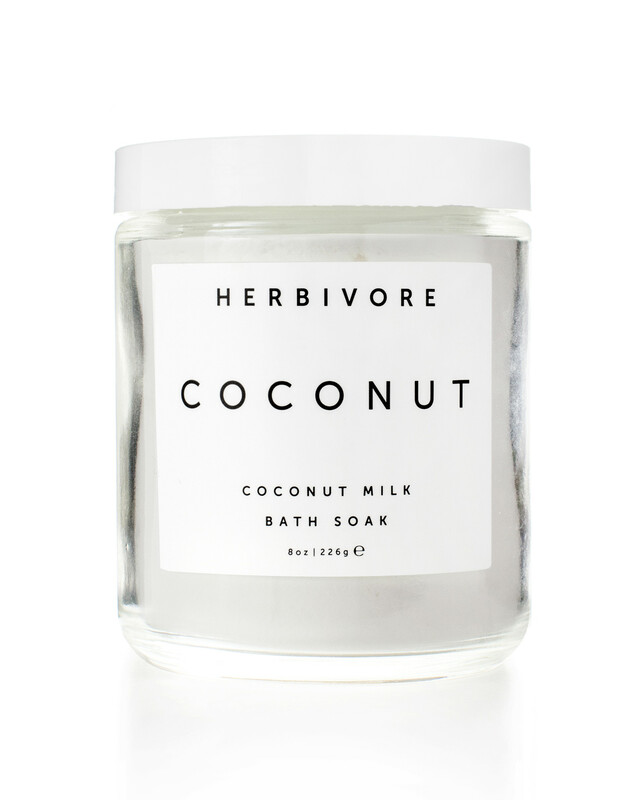 Coconut Milk Bath Soak – Uh hi, even your name sounds amazing. I’m not a huge bath person, but I want to be. I think it’s because I just haven’t had the deepest tubs? Ignore my excuse and let’s focus on this bath soak. Not only does it make your skin silky smooth, but it has the nicest “feel good” ingredients. I’m in. Rose Hibiscus Hydrating Face Mist – I’m a big fan of taking care of your skin, especially when it’s quick and easy to use. I’m constantly on the go, so this is perfect for me. The ingredients in this face mist are insane and I’m all about anything that helps even out your skin-tone. Plus, how pretty is this colour? 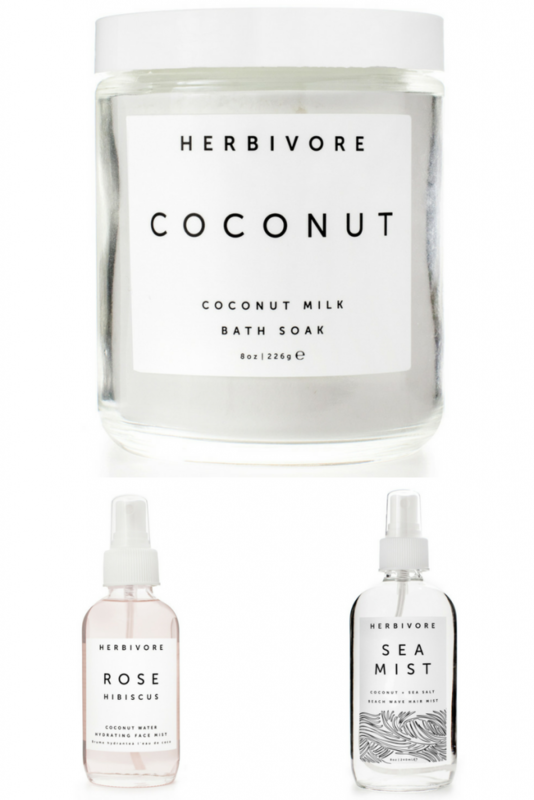 Sea Mist Texturizing Salt Spray in Coconut – The only thing I do with my hair (outside of washing it), is use salt spray. Seriously. I am so low maintenance when it comes to hair and makeup it’s insane. I currently use this stuff (which I love and smells amazing), but I’ve been curious about this. Coconut smells too damn good in the hair. This is a brand I recently found out about. What I love about this brand is where it’s from (close to home), once again the ingredients they use are amazing and it’s all handmade. Chamomile Honey Makeup Remover – I’m always on the hunt for a new makeup remover, especially one that is gentle on my skin and eyes. The idea of using honey and chamomile sounds heavenly. Face and Body Scrub – I love love love scrubs. There is something so satisfying about scrubbing your hot bod and knowing you’re exfoliating that dead skin off. I really like that this one is gentle enough to use on your face along with your body. 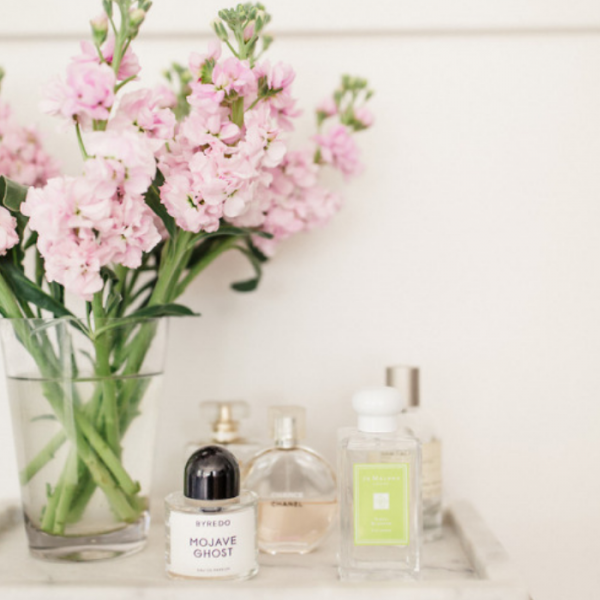 Geranium Orange Blossom Toner – Here’s another spray that I could see myself using all the time, plus this sounds like it would smell amazing. I like that you can use this with your face routine or spritz while traveling or when it’s hot out. How fun is that name? I love this company is Canadian, a close drive from where I live and it’s vegan (hello). I bought a couple of things from them for the man’s stocking this year and we’re obsessed. Oh, and they have a couple of dog products. How cool is that? 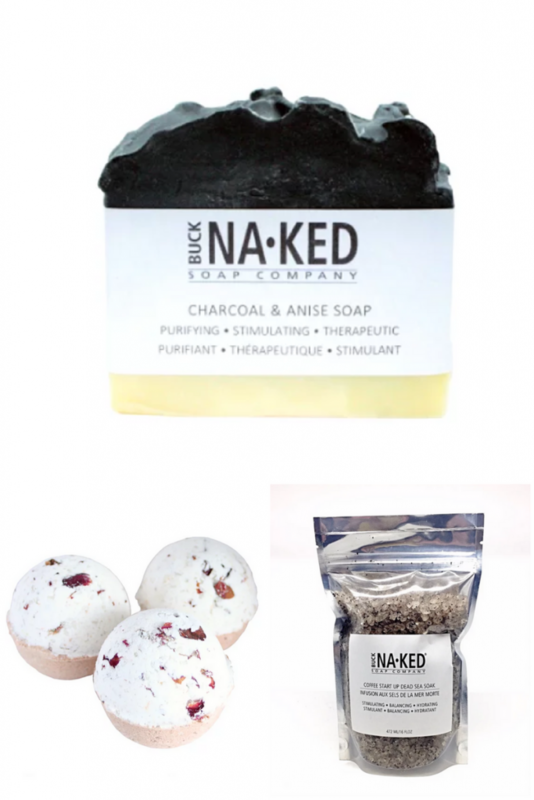 Charcoal and Anise Soap – I have this bar in my shower currently and I use it every time I shower. It’s fun to use and it makes my skin feel so so good. I’m a big fan of charcoal in general (I use it as my toothpaste), so of course, I’ll rub it on my bod. Rose & Moroccan Red Clay Bath Bomb – They have a variety of bath bombs to choose from, but I’ve never used a bath bomb with red clay, so you know this girl is excited to test that out. Coffee Start Up Dead Sea Salt Soak – I don’t like drinking coffee, but I do like how it makes my body look/feel. Coffee scrubs are one my favourite things to use on the bod to help with stretch marks and cellulite, so obviously I’m attracted to the idea of being able to soak in a tub that might just do the same thing. This brand is so cool. I’m obsessed. Maybe it’s their name or their simplistic branding, but I’m hooked. Also, their Instagram is super inspiring and just makes me want to try their brand even more. 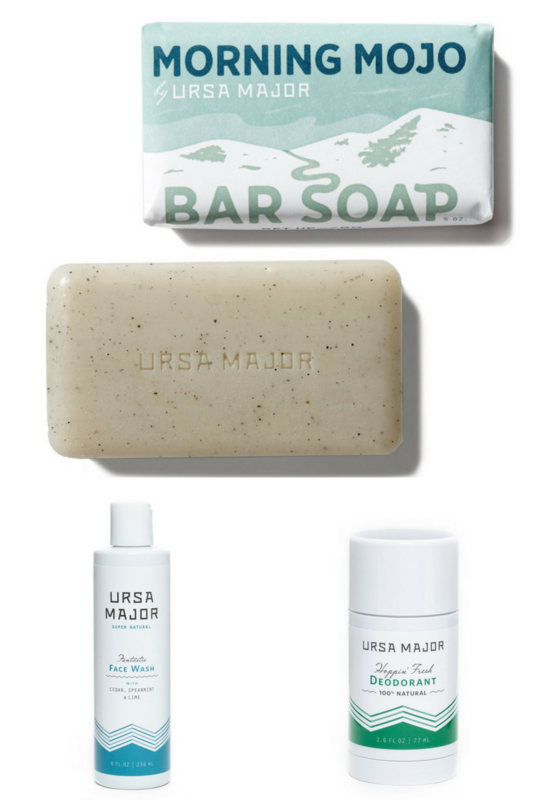 Morning Mojo Bar Soap – I’m not the biggest fan of bars of soap, but this one looks like one I would love. I love the name of it and I love the ingredients. Peppermint, honey, and grapefruit sound like a winning match to me. Something that exfoliates and helps with acne on the bod? I’m in. 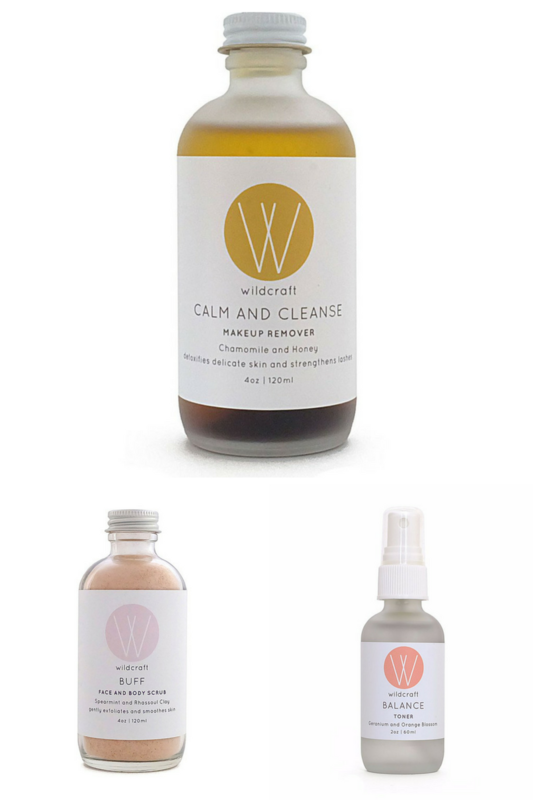 Fantastic Fash Wash – I love finding new cleansers for my skin, especially ones that are gentle and jam-packed with goodness. I love that this one has a bunch of essential oils in it and it’s a gel (which I find is great for oily skin). Hoppin’ Fresh Deodorant – Have you ever used an all natural deodorant before? I have and let me tell you it’s a bit different, but I do like it. The thought of putting chemicals directly on my skin under my arms irks me in a big way, so I’m always on the hunt for something better. This sounds like it would smell amazing and it doesn’t have any harmful chemicals. That’s a win in my books. Of course, I had to include something to do with hair in this post and this brand looks really cool. Like I said above, I’m low maintenance when it comes to my hair, but that doesn’t mean I neglect it. I’m all about feeding this mane some nutrients and making sure it looks soft and feels strong. 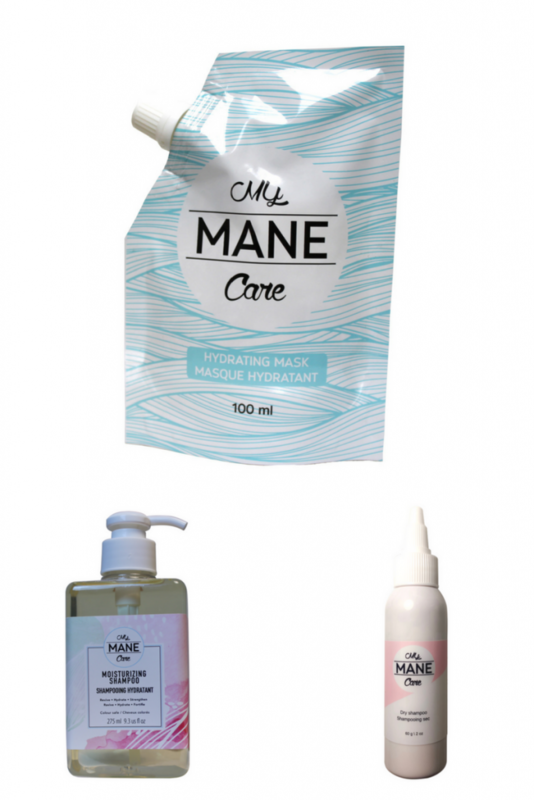 Hydrating Hair Mask – I don’t think I’ve ever done a hair mask in my life (honest), but I’ve wanted to try one for a while. I like that this one is all natural and you get 3-4 uses out of each mask. They also say you see results after the first application, so hello. 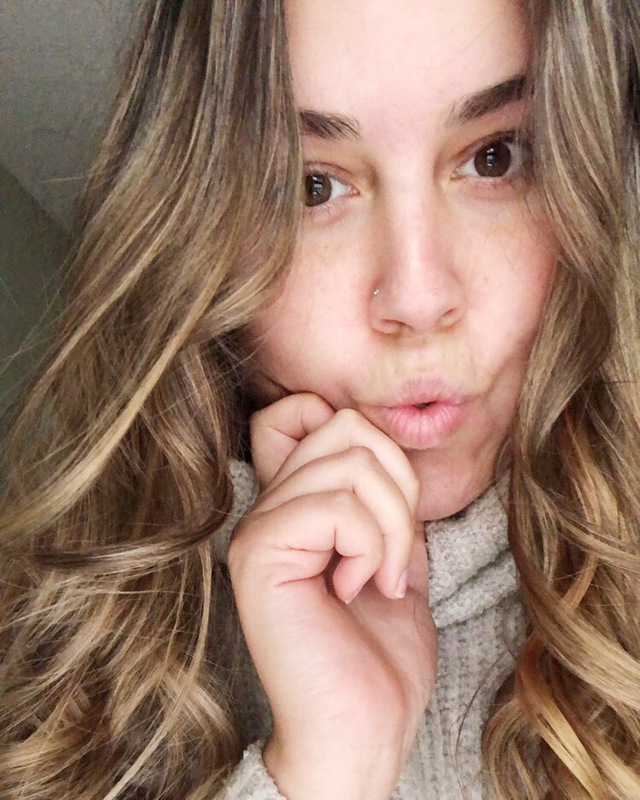 Natural Moisturizing Shampoo – Ever since I switched over to a more all natural shampoo, I found my hair instantly felt/looked better. I know I could use an even better shampoo, though, so this is where this one comes in. I love the ingredients (aloe anyone?) and the bottle is super cute, which is always a bonus. Natural Dry Shampoo – I’m a big big fan of dry shampoo. Who isn’t? But, I’ve honestly never thought about an all natural one. This one looks and sounds really good. I like the idea of rubbing good ingredients into my scalp, opposed to what I’ve been doing for years (yikes!). So, there you have it. See any you like and want to try? Have you tried any of the brands above? Do you have a favourite beauty brand you’re crushing on? Let me know in the comments below or email me!